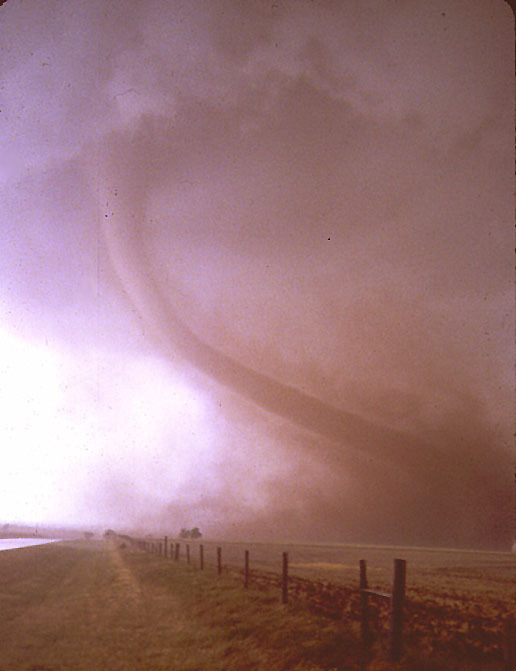 Here are some of my favorite photos of tornadic storms. I took these pictures in 1980 and 1981 in the great plains area of the USA. If you would like to contribute an original photo, please send it to me via E-mail as a GIF or JPEG attachment. Make sure to include your name, the date taken, and the general location so that I can properly give you the credit. Photo of a roll cloud. High winds drive a lower portion of the storm ahead. 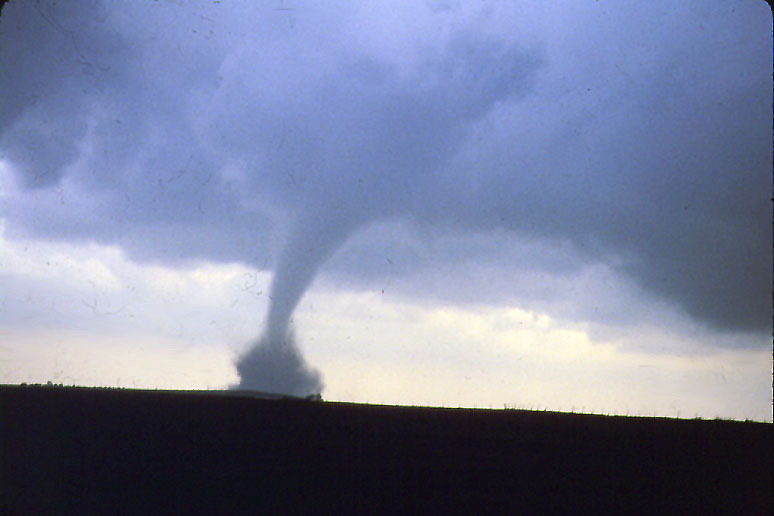 The winds can be quite strong and have sometimes been confused as a tornado. 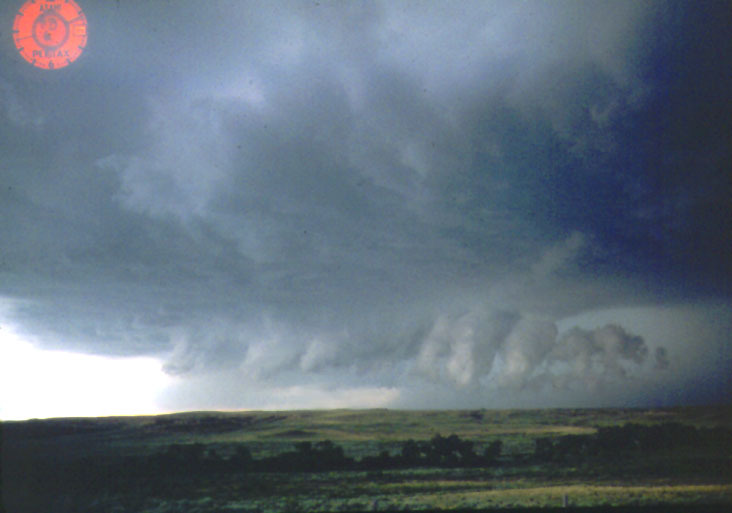 Photo of a gust front. These very high winds immediately precede a severe storm. 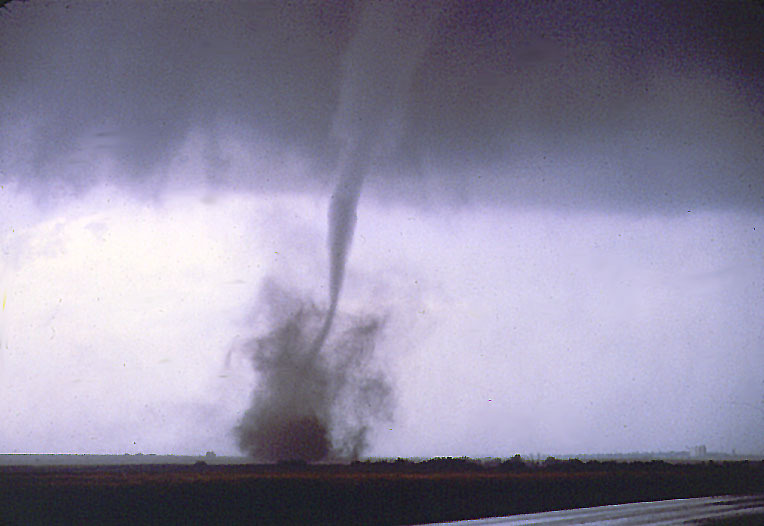 The winds can be quite strong and have frequently been confused as a tornado. 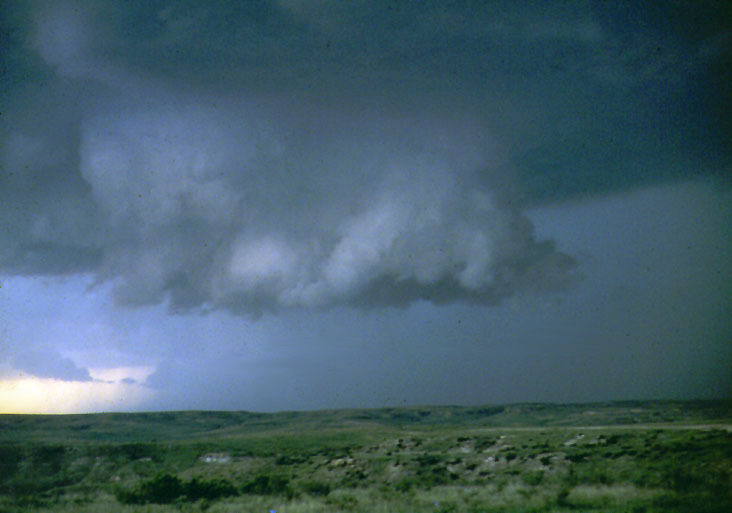 Photo of a wall cloud. 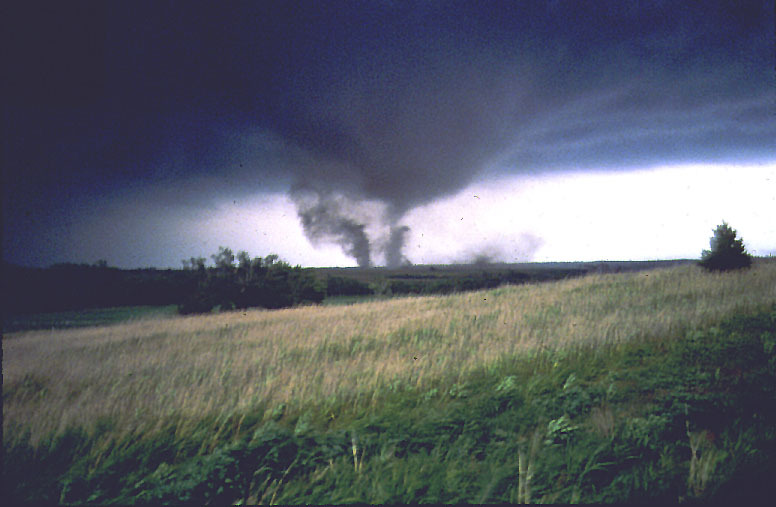 Tornadoes are typically formed at the back edge of a wall cloud. This cloud is a central feature of a severe storm. 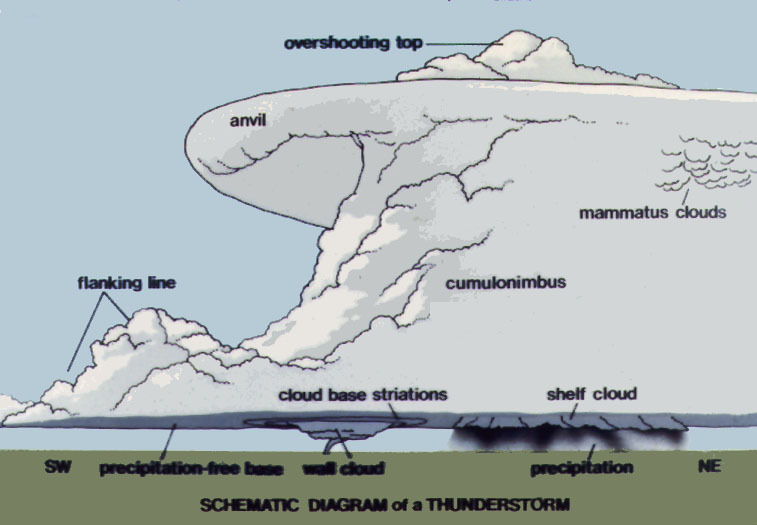 It is the central, lowered portion of a mesocyclone. 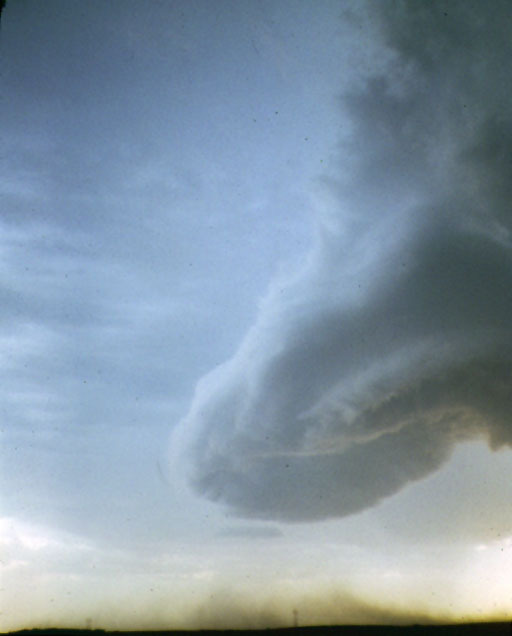 This cloud is distinguished by its sharp detail, lowered aspect, and fairly rapid rotation. 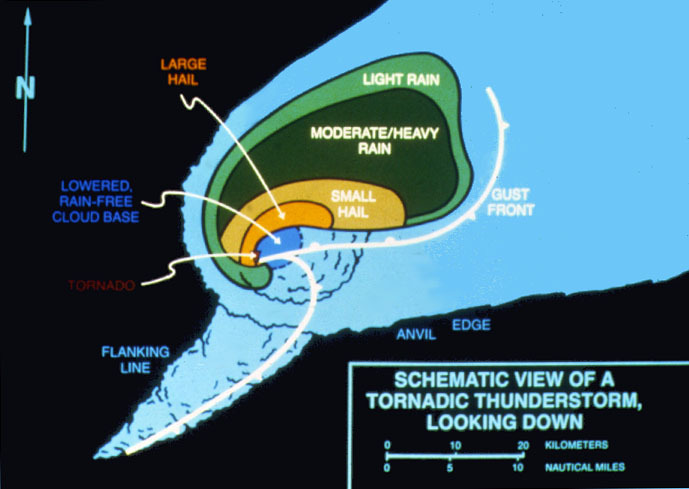 A schematic view of a severe storm. A bird's eye view of a severe storm. 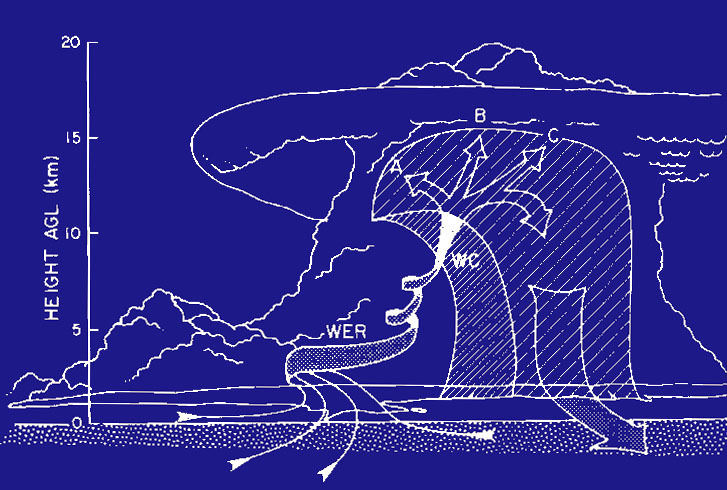 A schematic view of the wind directions and motion of a typical severe tornadic storm. What most people think of when they visualize a tornado. 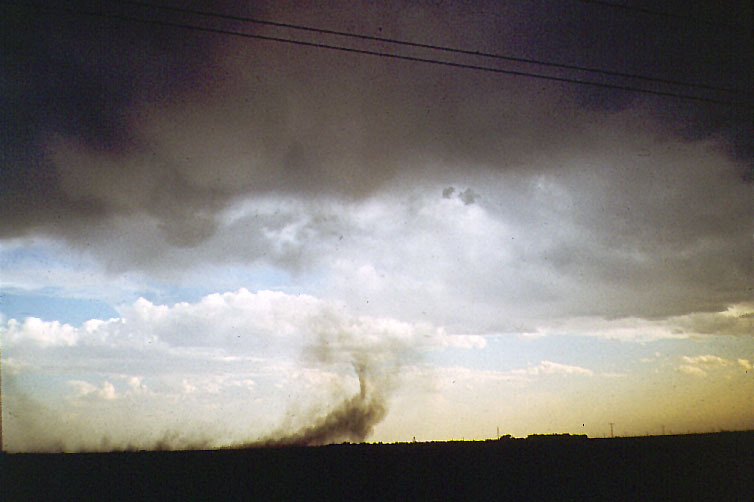 A newly forming tornado kicking up dust from a field. 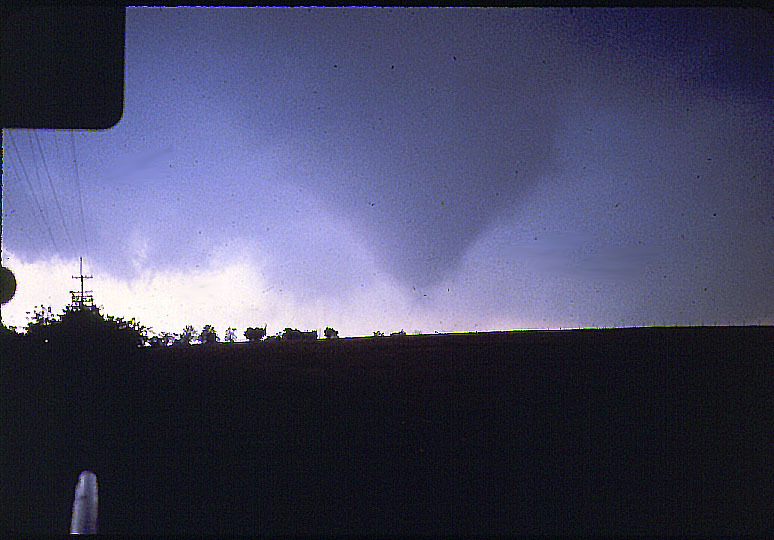 We photographed many tornadoes of this type: single thin, highly mobile funnel. Here, the debris cloud is quite high, reaching over 1000 feet. Yes, the tornado is indeed red! This tornado actually posed for us for a few seconds before moving off. The red color is caused by the tornado picking up dirt from a freshly plowed field that contained a large amount of clay. 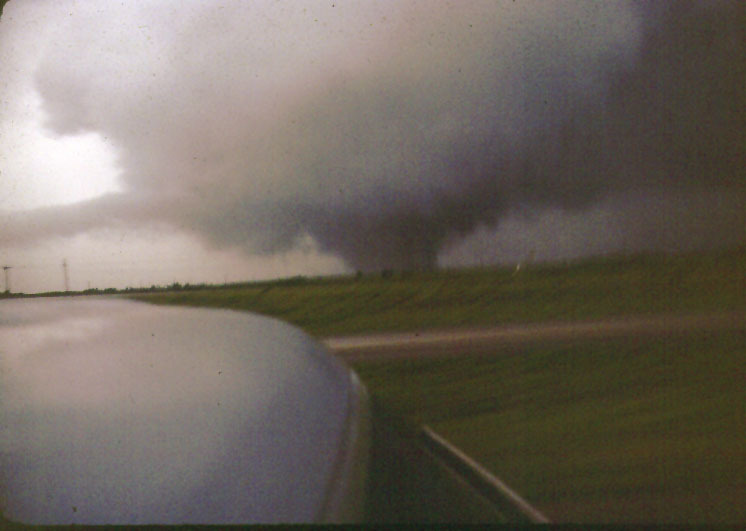 These three photos are from a highly destructive tornado. It actually became multiple tornadoes all rotating around each other. This photo shows an early stage. Note the flattening of the grass in the foreground. We were over 1/2 mile away and it was difficult to stand up due to the force of the wind. 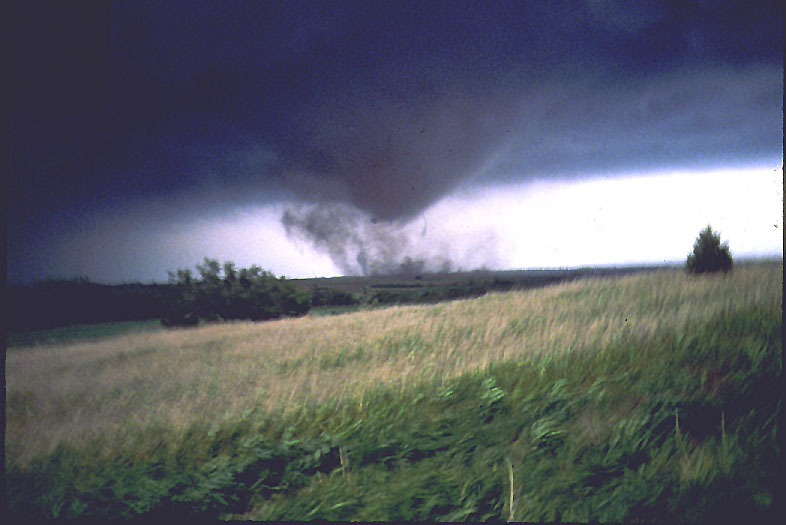 A few minutes later, the tornado is taking shape. In about 5 minutes, we were witnessing a huge tornado over a mile across. Contibuted by Ben Rothe, photo credit: Bob Dunn. 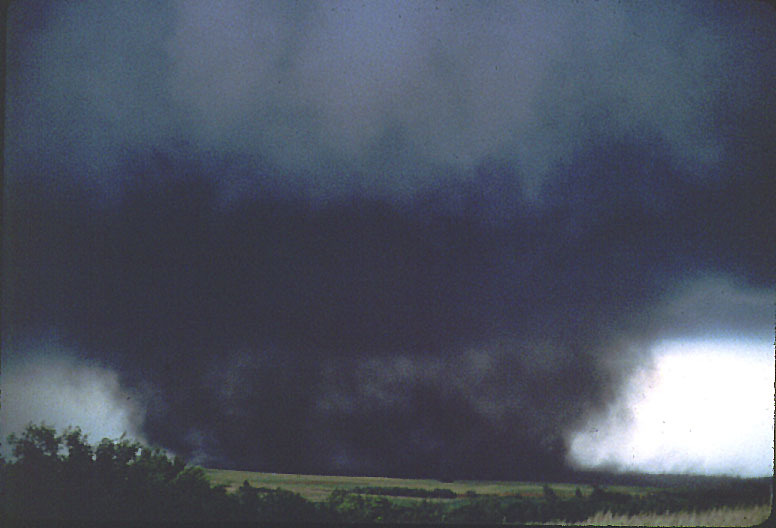 F4 Tornado which struck Omaha Nebraska on 06 May 1975 with over $1 billion in property damage.